Good News – the weather is turning warm, the sun is shining and we are getting ready for a wonderful spring! 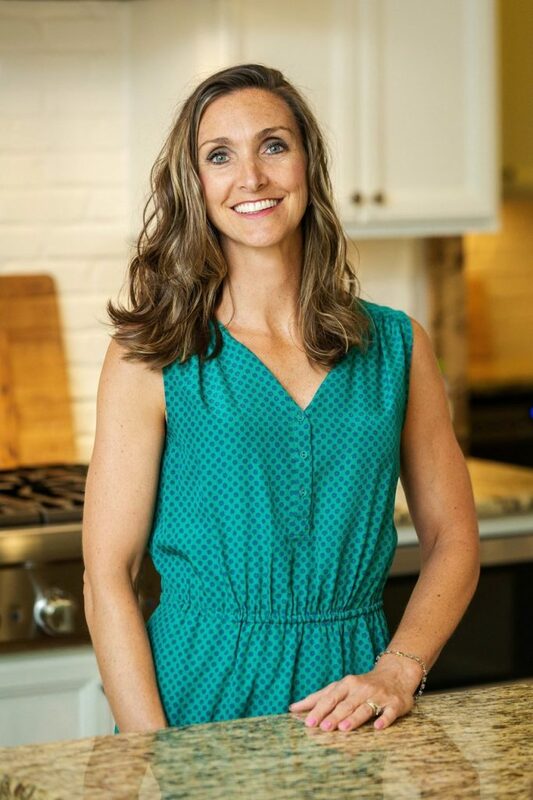 And we have more good news to share – Shayna has been recognized for her excellent work at Cancer Wellness by the wonderful people at Today’s Dietician Magazine! Spring ALSO starts party season! Planning for a family and friends dinner isn’t too hard when you keep a couple of easy dishes like this one in mind. Add a perfectly roasted chicken, a side of healthy whole grains and some fresh fruit for dessert, and you are ready for the Easter Egg hunt! Tarragon is our secret weapon in this dressing. One of the glorious fresh flavors of spring, it provides the perfect foil to the rich green taste of the roasted asparagus. Shake up a double batch of dressing and keep it in your fridge to marinate a pice of salmon for dinner later on in the week. Tarragon is traditionally used to stimulate a persons appetite and to alleviate anorexic symptoms. It also has a good amount of iron, vitamin A and C. The amounts may be small but if you use this dressing multiple days as we suggested then you get in a good amount of these essential nutrients and vitamins. 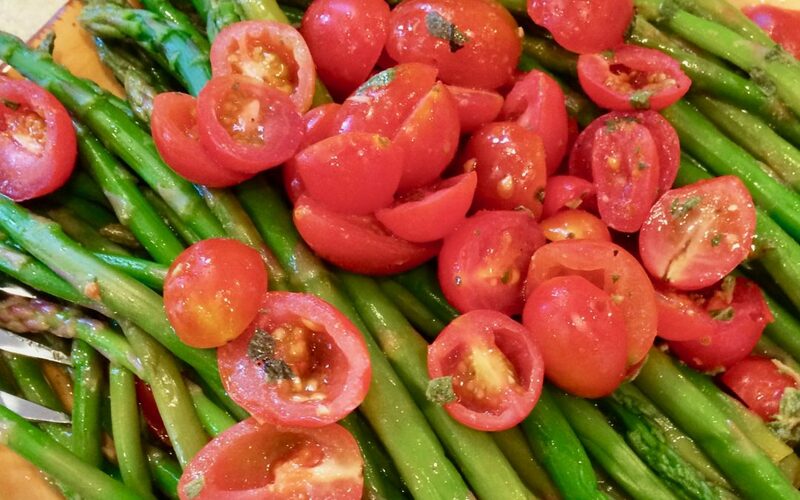 Drizzle the oil over asparagus that you have spread out on a sheet tray. Sprinkle with salt and pepper and roast in a 400F oven for about 10 minutes or until desired “doneness”. Remove from the oven, toss with the dressing, and add the tomatoes on top. Add the garlic to a food processor and chop finely. Add the remaining ingredients and purée until smooth.